Behind-the-Head Stereo Design. 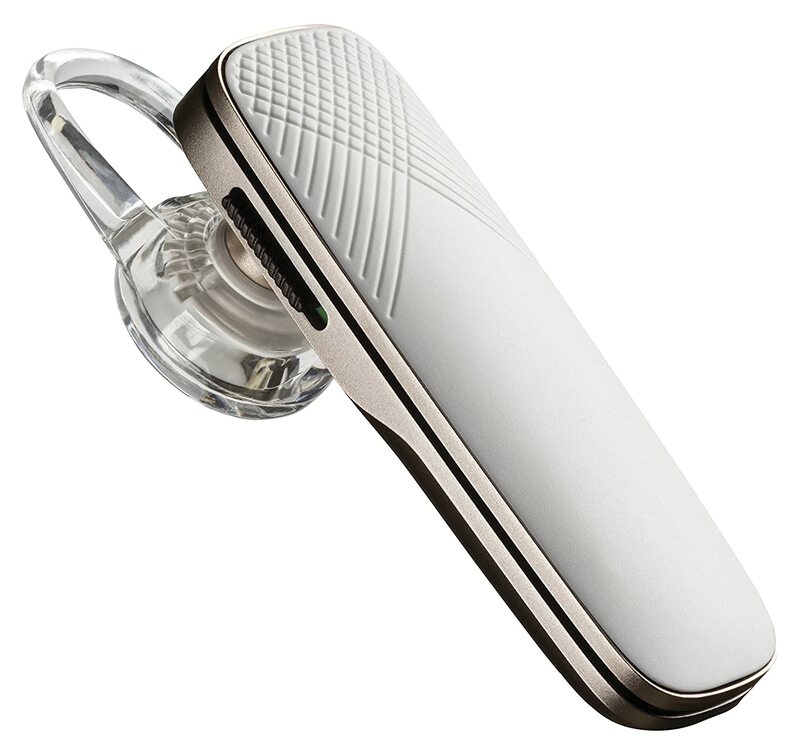 The behind-the-ear design is comfortable and convenient. 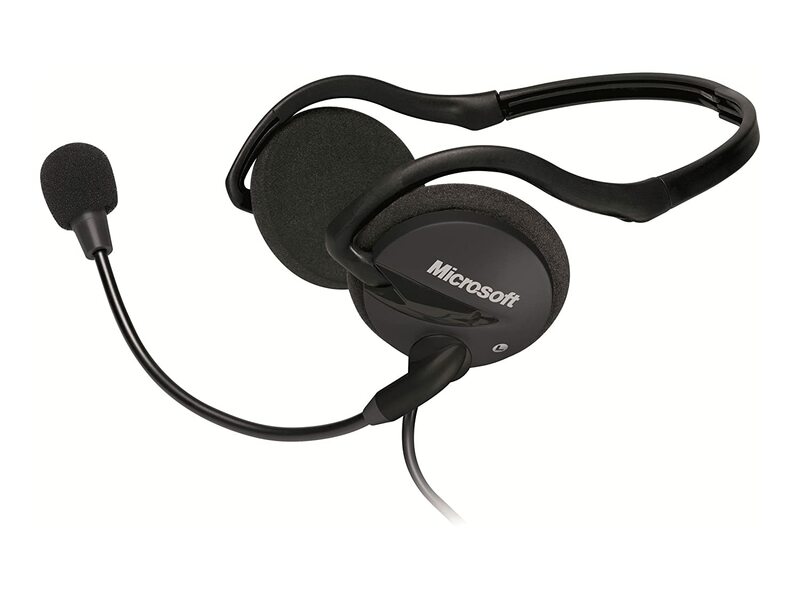 Flexible Microphone Boom - A high-quality microphone for PC calling, gaming, and other needs. Mobile Audio Made Easy. 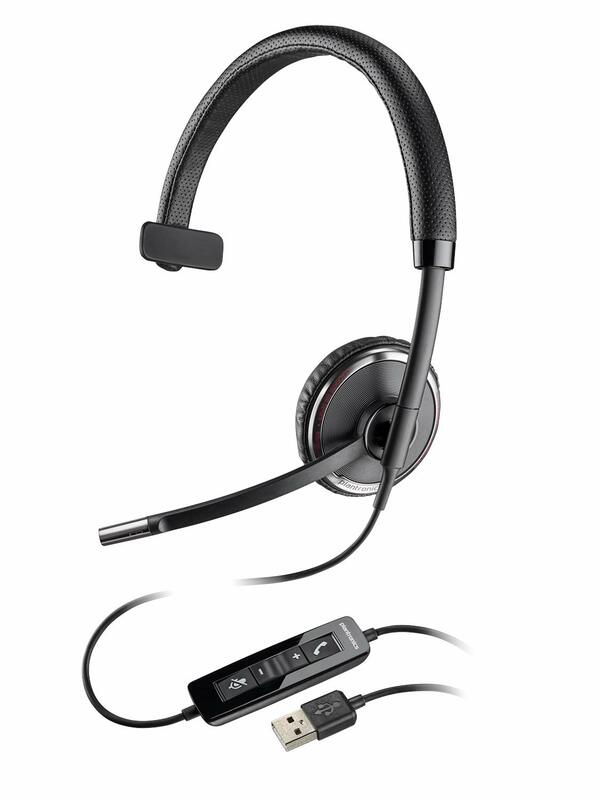 The LifeChat LX-0 folds up and provides a comfortable fit, while high-quality acoustics deliver great sound. This full-size, affordable headset works seamlessly with your computer, and setup is a snap—just plug it in! 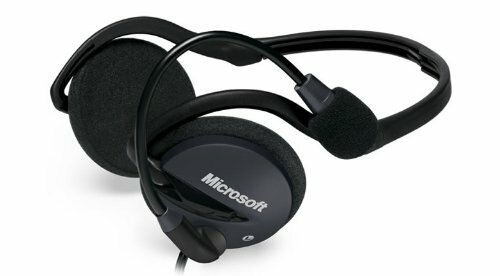 I was looking for an inexpensive replacement for a great pair of Logitech behind-the-head headphones with mic that I've been using for 9 years. Since that model is no longer available, I tried to search for something comparable. This was one of the few pairs to come up. The price was cheap and it's made by Microsoft, so I thought I would give it a try. After only a few hours use, I could already tell what a let-down this pair is. First, the design does not stay on my ears/head. The plastic band around the ears are flush with the ear pieces, so the headphones are not resting on anything. So after a short amount of time, they begin slipping off my head due to the natural weight of the headphones and any movement I make with my head. 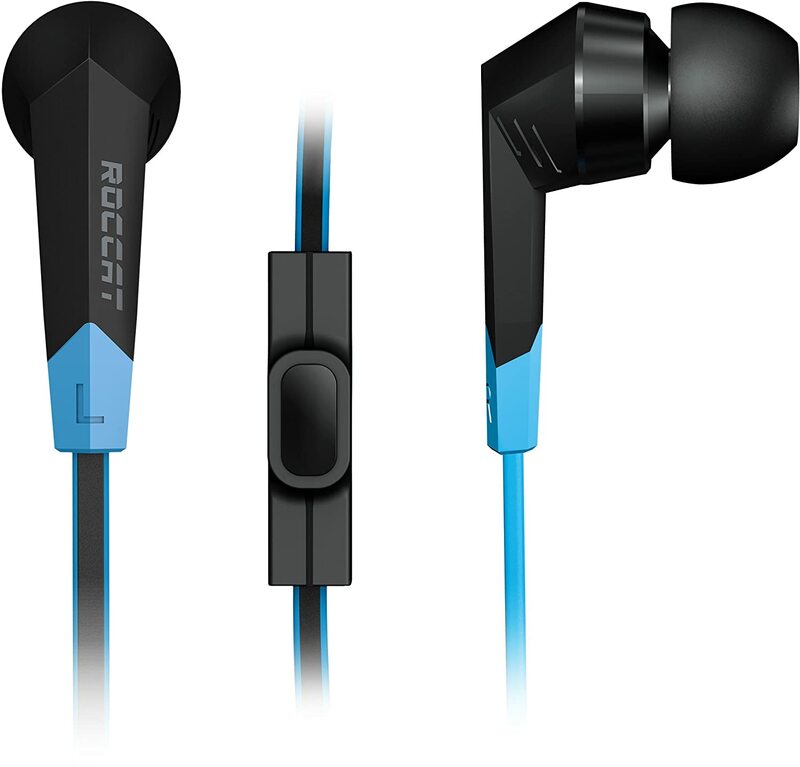 Typically with this design, the plastic band wraps around and behind the ears so that the headphones stay in place. This does not do that. The pair I received had a low buzzing/static noise most of the time. It seemed like it may have been caused by electronic interference because it seemed to go away when I fiddled with where the cord and inline remote rested. But seeing as how I'm using this with a computer, it's almost impossible to remove all electronic interference. Maybe this was just a defective pair, but that was my experience there. The inline remote is poorly designed. 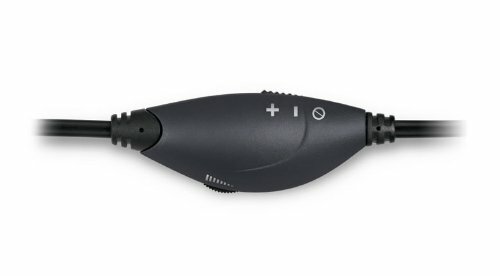 While I'm glad it had an inline remote, the microphone switch is flush with the side of it, making it hard to move it into the desired position. This wouldn't be so bad if it were merely off/on, but this mic has mute/low/high, so having a switch that's difficult to accurately move into one of THREE positions was a poor design choice. Overall, I was extremely disappointed with these (I got what I paid for, I suppose). I'll continue looking or may have to give up looking for a behind-the-head style headset. I have been looking for just the right headphones for awhile. I live in a small town so our pickings are a tad small unless I want to drive 25-50 miles for.... well.... anything!! After a bit of looking around on Amazon and doing a little research I decided to try these and I love them. My son can hear me quite clearly on Skype and there has been no interference at all. 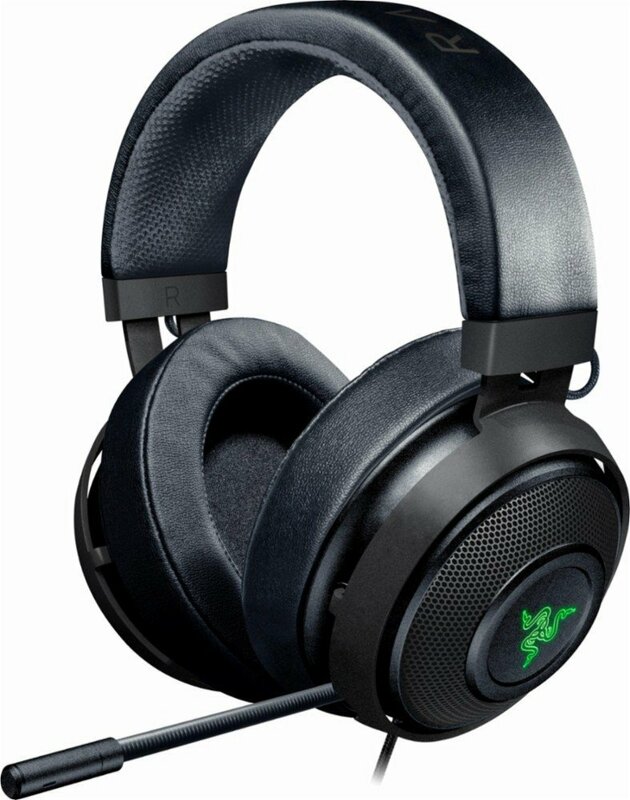 Sound quality is excellent, I play World of Warcraft and I hear very well! Also, I have a small head and these fit perfect for me, normal on head/on ear headphones often fall off or slip off my head. These do not slip or move, they do not feel tight around my head and my ears do not ache even if I have them on for hours at a time. Most of the time I even forget I have them on. 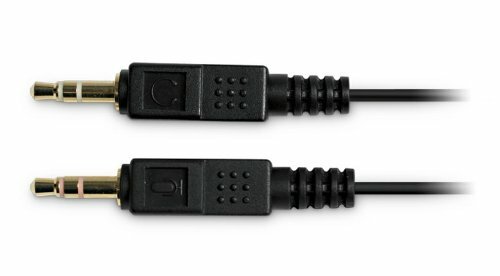 There is one thing, this headset has TWO cables, one for audio, and one for microphone so if you want to use this on a computer or laptop that has only one input jack I would suggest you also buy SYBA external USB Stereo Sound Adapter for Windows, Mac, Linux Extra Audio Source with Microphone SD-CM-UAUD or Sabrent USB External Stereo Sound Adapter for Windows and Mac. Plug and play No drivers Needed. (AU-MMSA) both of these work very well. So make sure how many input jacks your computer or laptop has before buying this item. This headset was packaged in the second most frustrating package I have ever received. The outer packaging from Amazon was fine. It was the product packaging from the manufacturer that was awful. I think some manufacturers package their items in such a way that when people finally get them open, the package is so torn up, they are discouraged from sending them back. This package took me 30 minutes to open, and I used scissors. There were shards of hard plastic everywhere. 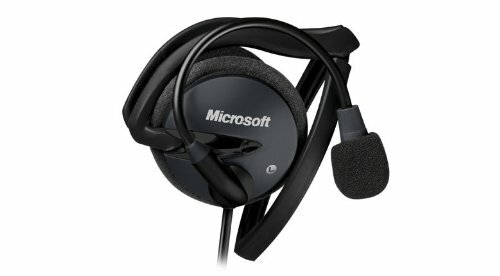 The headset itself was stiff, and awkward to put on, and there did not appear to be any way to adjust them to fit. The sound was ok, but considering the price "ok" was all I expected. Unfortunately, the other person had a hard time hearing me. The final straw was that each time I took them off, they grabbed onto my hair, and I had to stop and untangle them so I could get them off. It was so bad at one point, that I lost quite a bit of hair getting them untangled. That was the last time I used them. When I repackaged them for return, it took me nearly 45 minutes, and it was not pretty.